An array is a container object that holds values of a same type. Each item in the array is called an element. Each element has a numeric index, starting with 0. To access an element, use an index and square brackets, e.g., arr. 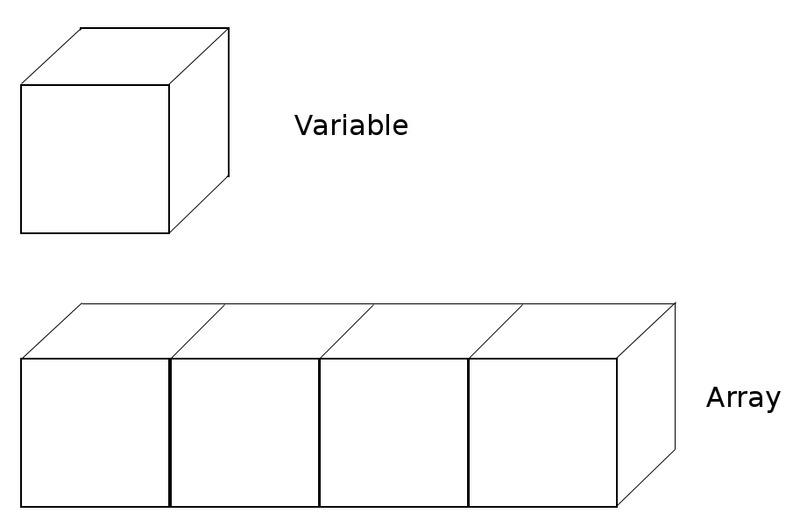 In Java, the array is an object. So, you need to create an array object. int arr = null; //declares an array of integers. /* 4 is the size of array. This value is stored in the length member variable of array and never change. arr = 1;//1st element is assigned to 1.
arr = 2;//2nd element is assigned to 2.
arr = 3;//3rd element is assigned to 3.
arr = 4;//Last element is assigned to 4. String arr3 = null;//declares an array of Strings. arr3 = new String;//The length is fixed at 2 and all elements are initialized to null. arr3 = "Java";//1st element is assigned to "Java" object’s reference. arr3 = "School";//2nd element is assigned to "School" object’s reference. String hello = "Hello"; //Here, "Hello" is a String Literal.